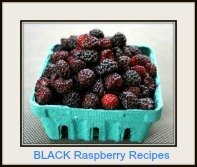 This, easy to make at home, Raspberry Margarita Drink Recipe is served with fresh red raspberries for garnish. *As an Amazon Associate I earn from qualifying purchases at no cost to you. Surprise your family and friends with this homemade raspberry margrita, and have the recipe handy, because they will want to make it too! Note - "grenadine" is a sweet, ruby-coloured syrup made from pomegranates. It is popularly used to enhance fruit juices and cocktails. True grenadine contains no alcohol, but it is also possible to purchase alcoholic versions of this syrup. Add all the ingredients into a cocktail shaker. Shake it well with the crushed ice. Strain the mixture into the glasses. Garnish the drinks with fresh red raspberries for garnish. Frost the rims of glasses by brushing them with lemon juice, and then dipping them in sugar. Let the rims dry until ready to serve. You can also use "salt" instead of the sugar. 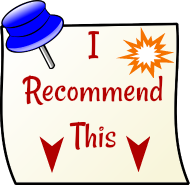 If you are searching for something specific, or hard to find, consider purchasing it on-line at *Amazon.com ... and have it delivered right to your door! 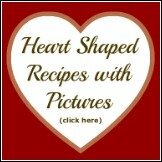 Looking for Different types of Recipes to Make a Raspberry Drink? Not only are raspberries nutritious, and a good choice to include in your diet, but did you know that a tea, mad with the leaves of the red raspberry plant is beneficial for women's health? For hundreds of years, red raspberry leaf tea during pregnancy has been considered a natural tonic for expectant mothers. Red raspberry leaf tea has earned its reputation for an over-all remedy for improving women's reproductive health, including increasing fertility, and benefits during pregnancy, childbirth, and breastfeeding. 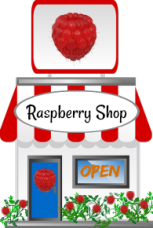 ★ Please use the "Like" button above and help to keep this free raspberry resource website alive. USE a Pie Crust Shield!